Double good at Double Shot! Double Shot is tucked away at Deakin Shops but on a sunny Saturday in May it was packed to the rafters with brunchers and lunchers both inside and out. We managed to score a cosy corner booth for our family of four, and were left alone to peruse the menu. Monday – Friday the breakfast ends at 11.30am, but on the weekend it’s on all-day which makes for a very busy café from around 10am onwards. 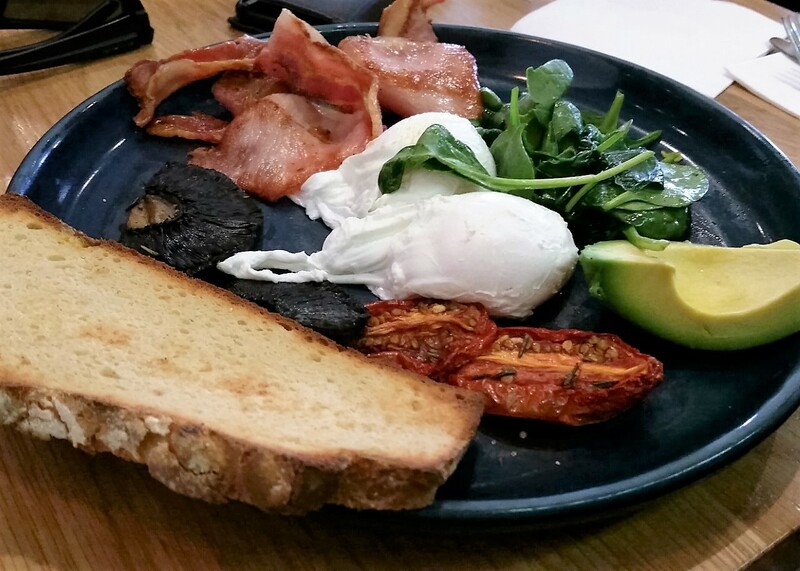 The menu is extensive and includes light breakfasts such as Bircher Muesli, toast with various spreads, Granola with coconut cream, and various egg dishes. The lunch menu is more substantial with fish ‘n’ chips, burgers, pasta dishes, risottos, and a great selection of healthy salads to which you can add your own protein, or not. All basic salads are vegan, gluten free, and dairy free—until you add the protein. We ordered three Eggs Benny with bacon and spinach (one with GF toast), and one Paleo breakfast which included eggs, bacon, mushrooms, spinach, tomato, and avocado and also came with the option of GF toast. You could also have the Eggs Benny with smoked salmon or ham hock. I’ll be honest. It was rather a wait, but that said the water was constantly topped up, the wait staff were friendly and attentive, and one member sipped on her second (free!) soy latte while we waited. And, when I say the café was busy, it was really, really busy! 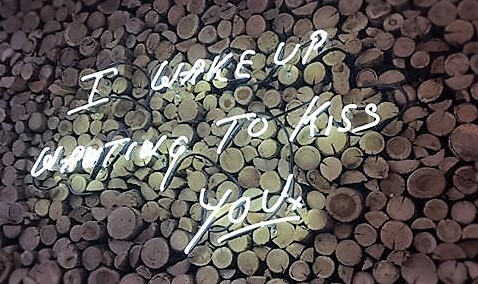 But not so noisy that you couldn’t have a conversation. The eggs were cooked to perfection. The Hollandaise sauce was just right—not too light but not too creamy, and a generous serve, but if you like your bacon ultra-crisp (we don’t, but some do) you probably need to ask. We were left to linger. We weren’t rushed, and we could have taken our time and had more coffee … and the café was still packed. One great feature of this place is that most dietary requirements can be met and the slices and cakes are mostly GF or DF, and some even sugar-free, and I can highly recommend the salted caramel slice. There is also a great range of cold-pressed juices, smoothies, and organic teas. 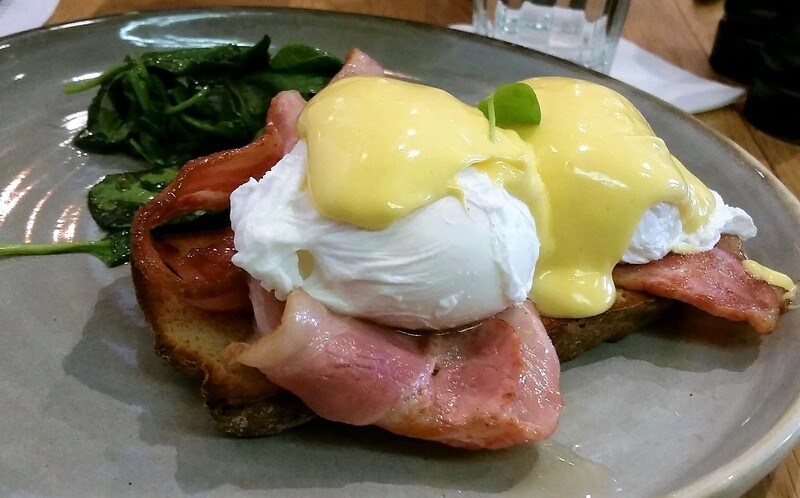 This entry was posted in LFW Your Canberra and tagged Best Canberra breakfasts, Double Shot Deakin, Eggs Benedict, Fit and healthy breakfasts, Gluten Free Cafes Canberra, Paleo breakfasts, Paleo Canberra on May 26, 2016 by gracienumber1.